“Lead, Follow and Succeed. The Tango Way” by C. A. Soto Aguirre, 2011. A seasoned tango teacher is hired by a New York venture capital firm to teach tango to ten of its best employees. After a week of intensive training, each one of them realized how profound their lives have changed by the advice they had received. 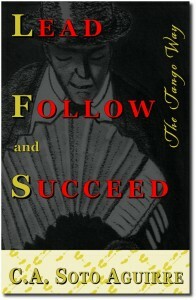 The teacher uses the tango metaphor to demonstrate the attributes of successful leaders and how to attain them. 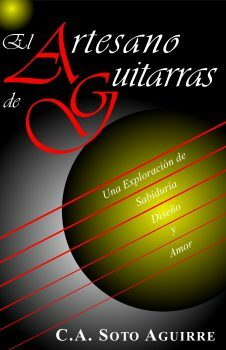 The Guitar Maker is an inspirational novel that, on the surface, tells the story of a guitar maker who is struggling with the design of his custom made guitars, the raising of his children, and the overcoming of his personal problems. But underneath these plot lines is a novel about human virtues that make us happy, about the questions in life that have no single answer, and about living a life that will provide a better world for future generations. 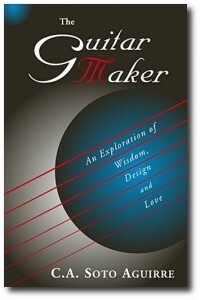 The novel uniquely combines the compelling details of the art and technical design in the creation of a musical instrument with the romantic moments of two lovers in difficult circumstances. “La Vida, El Amor, La Mujer,” by Rubia Graciela, 2009. 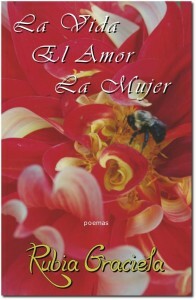 This is a poetry book in Spanish language. Rubia Graciela expresses beautifully her views about life, love and women based on her own experiences, her tragedies, her loves, and her struggles as a woman raised in a male dominant society in Latin America. Rubia Graciela uses an extraordinary prose with such profound and revealing feelings that are absolutely unique. The first part of the book, La Vida, are poems about the things that matter in life that we some times ignore, but that mark us all. The second part, El Amor, are poems about her loves, some real, some imaginary, some wishful, written openly in a way she had never been allowed before. The last part, La Mujer, are poems that elaborate on the role of the women in our society, in our families, and everywhere where they are, demonstrating their capacity, tenacity, and love. The most remarkable aspect of this book is the passion that percolates each verse in each poem giving a resonant image that stays with the reader forever.